According to Alt-News co-founder Pratik Sinha, a shared Google Document used by the BJP was modified, triggering a flurry of tweets against PM Narendra Modi. 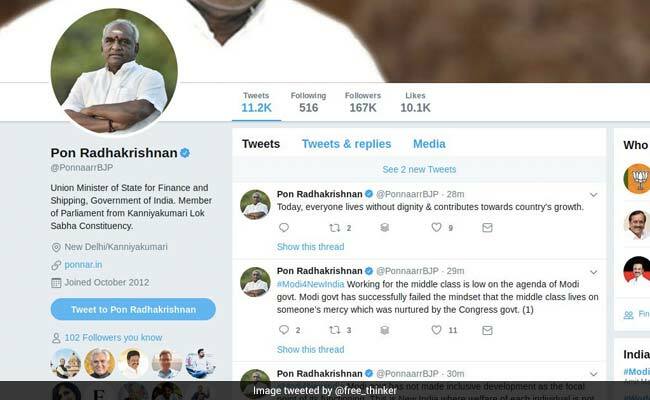 Union Minister Pon Radhakrishnan was among those who posted and later deleted the tweets. Collaborative editing may be one of the best things about cloud computing but sometimes, the risks catch up. For the BJP, it was one of those days. 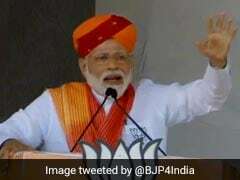 The nightmare of any coordinated Twitter campaign unfolded on social media on Wednesday after a shared document used by the party's members was mischievously edited by someone, triggering a deluge of tweets criticising the Prime Minister Narendra Modi and his government. According to series of tweets by Pratik Sinha, co-founder of fact-checking website Alt-News, the Google Doc circulated by the BJP's IT cell, which frames and circulates messages that are then posted by a host of handles including Union Ministers, was modified by someone. Sentences like "PM Modi took care of the needs of marginalized" became "PM Modi took care of the needs of richest". The exercise was a classic case of "pwning", which in internet lingo refers to a hack or defeat. 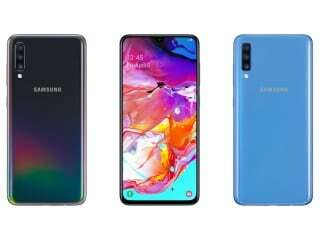 Next, hundreds of Twitter handles like those of Union Minister Pon Radhakrishnan and BJP Assam Pradesh tweeted those same messages, word by word. You can get all IT cell coolies to tweet that Modi govt has destroyed all villages in India. Or that Modi Govt has made women a slave of "धुएं"/cooking"
"While it might seem like a laughing matter, the purpose here is to demonstrate that a non-government entity sitting in BJP's office is controlling what a Union Minister is tweeting," Mr Sinha said. 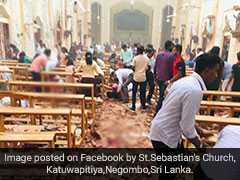 Though most of the tweets were soon deleted, Twitter was abuzz with reactions. #PRT I think Pratik Sinha will get into direct trouble for this mischief though! From Twitter to WhatsApp, the online battlefield in India has become increasingly vitriolic in the run up to the general elections. 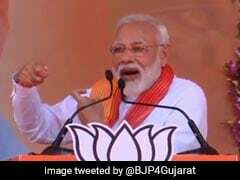 In the last election in 2014, Congress was crushed by the techno-savvy BJP that used an array of social media weapons, including a flurry of tweets from PM Modi's personal account, a BJP campaign on Facebook and holographic displays of PM Modi in remote villages. In contrast, Congress chief Rahul Gandhi got a Twitter account only in 2015. However, in the past two years, the opposition party is seen to have sharpened its online presence considerably. The Gandhi family's latest entrant in politics, Priyanka Gandhi Vadra amassed 116,000 followers in the first 24 hours of launching her handle on Monday though she had not posted a single tweet.